From small unmanned aircraft to communication systems, plenty of exciting new products appeared at the Association for Unmanned Vehicle Systems International’s show in Orlando last month. More than 600 exhibitors brought their products to the event. These are just a few of the innovations that were on display. Lockheed Martin’s Vector Hawk. The latest addition to the company’s small unmanned aircraft system (UAS) family, the Vector Hawk is a water-proof system that features autonomous flight, landing, and fail safe modes. Its battery supports up to 90 minutes of operation in winds of up to 45 knots, said Steve Fortson, Lockheed Martin’s Unmanned Solutions Business Development Manager. The hand- or tube-launched Vector Hawk can be reconfigured for multiple missions, including fixed-wing, vertical takeoff and landing, and tilt-rotor enabling VTOL with transition to fixed wing flight. 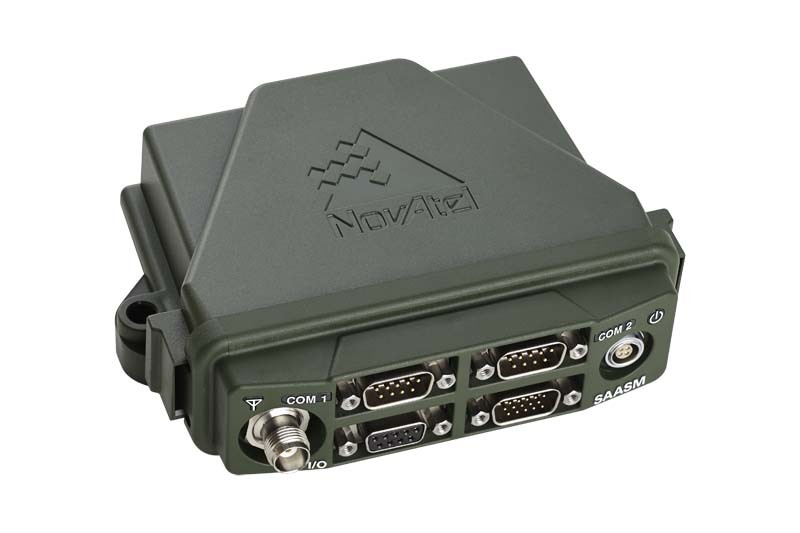 NovAtel Inc. announced the release of its OEM617D receiver, a compact, dual-antenna, dual-frequency, single-card receiver that incorporates NovAtel’s ALIGN heading functionality and its RT-2 centimeter-level, real-time kinematic (RTK) GNSS positioning technology, in dynamic and static environments. In addition to these features, the OEM617D offers GLIDE technology for decimeter-level pass-to-pass accuracy and receiver autonomous integrity monitoring (RAIM) for increased GNSS pseudorange integrity. The OEM617D offers dual-frequency operation with GPS, GLONASS, and BeiDou signals maximizing GNSS availability globally. It also tracks Galileo, satellite-based augmentation system (SBAS) and QZSS. It is ideal for rotary wing aircraft, marine applications, autonomous ground vehicle and other applications requiring precise position and heading accuracy. Firmware is field upgradable and scalable, depending on application needs. The company also launched the FlexPak-S GNSS SAASM ruggedized enclosure, which contains a NovAtel dual-frequency OEM625S receiver card integrated with L-3 Interstate Electronics Corporation’s XFACTOR Selective Availability Anti Spoofing Module (SAASM) onboard. The FlexPak-S is security approved by the GPS Directorate for operational use. When keyed by authorized defense integrators, the FlexPak-S provides a centimeter-level RTK Precise Positioning Service (PPS) solution by taking the raw measurements from the XFACTOR SAASM and applying them to NovAtel’s advanced RTK algorithms. The SAASM position is provided via a dedicated communication port, as well as through NovAtel’s software command protocol allowing for maximum flexibility. The FlexPak-S can be handled as unclassified when keyed. In the Standard Positioning Service (SPS) fallback mode, the FlexPak-S continues to provide centimeter-level accuracy by using NovAtel’s dual-frequency civil GNSS positioning engine. FlexPak-S’s fallback mode is configurable for GPS or GPS+GLONASS. Adding GLONASS tracking increases position performance in obstructed sky conditions, making it particularly useful for unmanned ground vehicles. FlexPak-S uses the same form factor as the NovAtel FlexPak6 design. Northrup Grumman’s R-Bat. The Rotary-Bat unmanned helicopter is based on the Yamaha RMAX helicopter used for agricultural support. The small, tactical unmanned aircraft system has many intelligence-gathering capabilities, including search and rescue, power line inspection, border patrol and forest fire observation. Features include day/night cameras, multi-spectral imaging and communications relay and can integrate existing sensor and tracking technologies already used by civil authorities into the ground control shelter, giving users a complete picture, said Terry Parisher, the company’s land forces business developer. The R-Bat shares the same command and control autonomous capability with the fixed-wing Bat, Parisher said, and uses Northrup Grumman’s mature unmanned architecture and Yamaha’s RMAX remotely piloted airframe that has been in development and production for 16 years. L-3 Unmanned Systems’ Airborne Pursuit and Exploitation (APEX). The APEX unmanned aircraft is a compact, lightweight system designed as a small tactical Intelligence, Surveillance and Reconnaissance platform, according to a news release. It can carry multiple payloads at once, and can be used for close-range ISR missions, first responder calls or over-the-hill reconnaissance missions, low-intensity conflicts and urban warfare operations. The all-electric UAV provides about seven hours of endurance and can be operated by a team of three people. It features an electro-optical/cool infrared gimbal payload, providing both day and night surveillance and reconnaissance capability. U.S. Forces are currently using the system. Trimble’s BD930-UHF receiver and communication module. This compact module features centimeter-level RTK positioning capabilities, as well as an integrated UHF receiver, designed to facilitate system integrators and OEMs adding GNSS positioning to specialized or custom hardware solutions. iRobot’s AVA 500. AUVSI exhibition attendees likely saw the AVA 500 roaming the floor while an employee back in the Bedford, Massachusetts, facility operated it. The telepresence robot makes it possible for people to attend meetings live, no matter where they are in the world, Manager of Corporate Communications Charlie Vaida said. Ava 500 can be used in labs, manufacturing floors — any space where operators want the flexibility to move around. And the operator doesn’t have to worry about guiding the Ava 500. The robot learns and creates a map of its environment so that it can navigate to its destination autonomously. Built-in laser, 3D imaging, and sonar technologies ensure the robot can self-navigate busy, real-world enterprise environments without bumping into people or objects. Systron Donner showcased its latest Tactical Grade Quartz MEMS Inertial Systems product extensions (SDI510, SDN510) specifically optimized for compact EO/IR gimbaled and search & rescue systems. Acccording to the company, the SDI510 IMU maintains an extremely low 0.012°/√hr angle random walk noise while delivering high bandwidth and low latency, enabling the capture of clear, jitter free images. The SDN510 INS/GPS capitalizes on the improvements found in the SDI510 IMU in addition to offering 100Hz position data and rapid GPS acquisition and time to first fix. SDI will also introduce a SAASM GPS variant of its SDN500 INS/GPS product. FreeWave Technologies Inc.’s WavePoint Communications. Designed for government and defense applications, the WavePoint family is a wireless M2M communications architecture that features high-speed connectivity, can adapt to changing tactical needs and has military grade security capabilities, according to a news release. The architecture incorporates the multi-channel WavePoint 10e platform that was released earlier this year, as well as single-channel WavePoint 20e modules that are scheduled to be released throughout 2014. This product suite supports unmanned system command and control, as well as nuclear, biological, and chemical remote sensing, unattended ground sensors, dismounted soldier and vehicle tracking, remote military infrastructure monitoring, and guided parachutes for supply drops, among others. Sparton’s GAINS-10. Featuring a ruggedized, shockproof design, the Multi-GNSS Assisted Inertial Navigation System is designed to provide accurate inertial navigation during mechanical shock, transient platform vibrations and extreme magnetic interference. Applications include precision autonomous vehicle guidance in harsh environments, dead reckoning in GNSS denied environments, as well as pointing & tracking and motion & position sensing. Aerial Services UAS Survey. As the unmanned aerial systems market continues to grow and change, it can be difficult to keep up with the most recent developments. Aerial Services, a remote sensing firm located in Iowa, decided to put together an in-house database to keep track of these innovationsas well as share it with the rest of the industry. The Unmanned Aerial Systems Survey, first released in 2012, was recently updated with the most current unmanned aerial system product information and includes more than 150 different UAS models and dozens of UAS-sized sensors and photogrammetric software. To download the Unmanned Aerial Systems Survey, visit the company website.